Ever since Napster, my iTunes has been a mess. I have hundreds of tracks that are duplicates, and hundreds more unnamed tracks titled "Track #." We think many Lifehacker readers can relate to this problem, so we put together this deal for 60% off the new TuneUp - the best tool for automatically cleaning your iTunes. 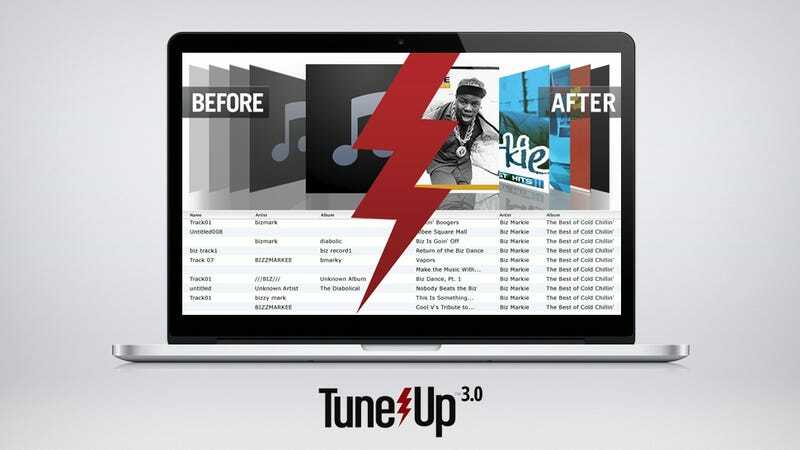 With TuneUp, your iTunes will be clean, organized, and ready for listening. TuneUp is a simple yet powerful tool for PC and Mac that use acoustic fingerprinting technology to automatically clean your iTunes. With TuneUp, you'll get an in-depth report of your library's status before and after. Fixed mislabeled songs and fills in missing metadata and artwork - no more ambiguously titled "Track 1" or "Track 7"
Note: This software isn't perfect. But, it's a great deal on a program that can help you take a big step forward with getting your library organized. StackSocial curates exclusive, hand-picked deals on trending and innovative digital products purely for tech readers. So to be clear, this post is not editorial and we make money on sales.